The long-awaited individually wrapped rice grain is finally being sold in several good stores around the Kanto region of Japan. 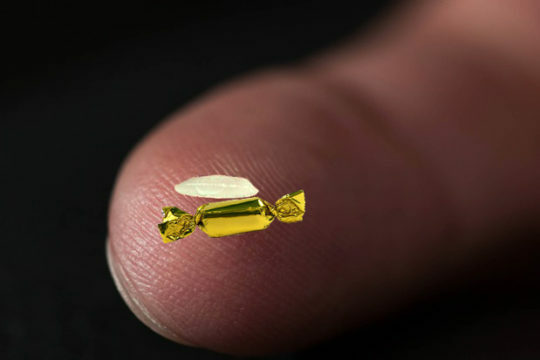 Makers of the intricately wrapped rice grain say the packaging is guaranteed to enhance the overall sensory experience. “It takes me longer to unwrap the 300 or so rice grains for one cup of rice but that just adds to the excitement,” says housewife Momoka Kotone. Experts predict this natural evolution in rice grain packaging will produce around two extra tonnes of unwrapping satisfaction each year per household. that’s a waste of time of titanic proportion, unwrapping these grains. i don’t get it. Change of direction for my local fish and chip restaurant. They have just taken delivery of 50 kgs. and will be re-opening as a sushi bar in 2047. The concepts of parody and satire seem to get lost on more people than makes me feel comfortable. Time for a little global warming to thin out their ranks?? ?